Much has been said and documented about the multifaceted genius of Rabindranath Tagore. Radical Rabindranath is a post-colonial reading that focuses on areas that have been marginalized because of the more dominant and compelling desire in the West to establish Tagore as a transcendent visionary and poet-philosopher. The volume breaks new ground as it critiques Tagore’s non-conformism, radical outlook and occasional ambivalence as seen in his novels and short stories. In its re-readings of his works, it meticulously analyses issues such as sexual desire, repression, and jealousy on the one hand, and nation, politics, family and gender on the other. It also show how, amidst changing social structures, his woman protagonists are motivated by prompting of self-discovery and self-realisation, as well as a compulsive need to recreate their identities, the book including reading from selected film version of Tagore’s fiction. These trace the deviations from the original texts to highlight how pre- and post-independence Indian/Bengali film-makers have appropriated Tagore’s literary texts by emphasising gender positions, the polities of the sexualized body and body images. It also provides details details of Tagore’s early years of growing up, his formative influences and also throws light on his intellectual combats with contemporaries like Chandranath Basu and Dijendralal Roy. In an interesting detour, the authors bring forth his relationship with woman like Kadambari Devi, Ranu Mukherjee and Victoria Ocampo-encounters that allow a glimpse into a mind that despite being progressive and fearless, was not devoid of contradictions. For students and scholars of comparative literature, and those with a keen interest in Tagore, the man, the poet, and ‘the radical’-an indispensable read, both at home and in the world. Sanjukta Dasgupta is Professor and Former Head, Department of English, and Former Dean, Faculty of Arts, University of Calcutta. Sudeshna Chakravarti is Professor, Department of English, University of Calcutta. Mary Mathew is professor, department of English, North Carolina Center University in North Carolina, USA. If indeed every other statement of Tagore may pass the litmus test of a non-radical, benign, liberal, humanist, egalitarian approach, the excerpt above may well seem to be unambiguously radical, both in and out of its socio-historical context. It is this exemplary and extraordinarily liberated and inclusive spirit of Tagore that we propose to recognise, explore and critique, identifying his moments of overt and covert non-conformism, his vacillations, his conservative reactions, his subjective conflictual self and his unequivocal overtures. Though much has been said about the multifaceted genius of Tagore, in this volume we have endeavoured to focus on areas that have been somewhat marginalised in the wake of the more dominant and compelling desire in the West to establish Tagore as a transcendent visionary and poet- philosopher. As readers and cultural commentators, we feel that such an emphasis reduces and shifts the focus. It appears that if regarded as a transcendent philosopher, it could be said that Tagore had merely made tangential negotiations with the micro-politics of daily living and the socio-economic factors that influence and motivate the evolution of culture. Tagore's fictional writing, as well as his non-fictional narratives, reiterate his deep engagement with both the mundane and the metaphysical, the absolute and the concrete, the empirical and the ontological. This remarkably wide trajectory of Tagore's genius proves his astonishing contemporaneity as well as his rootedness to the spatiotemporal dynamics of his own times. We must, however, warn that this book is not about addressing the philosophical debate about radicalism and who or what constitutes the definition of being radical. Here, we have tried to identify in Tagore's narratives his subversions, transgressions and disruptions from the traditional normative systems as well as locate his occasional vacillations. As in the case of many male and female creative writers, we have evidences of fictional narratives that are non-conformist if not subversive, while the biographical documentation of the same writers reveal a conservative lifestyle that is entirely contradictory to the subject matter of their narratives; in this regard Tagore was not an exception, but very human. So Tagore's ambivalence makes us understand how path-breaking it was for him to deviate from the compelling pressures of tradition and social condition in conservative colonial Bengal. Literary histories document how literary artists have often been ambivalent and ambiguous. Interestingly, on the other hand, the transgressive lives led by Mary Wollstonecraft and George Eliot are in significant contrast to their writings, which seem relatively more conformist despite the overt assertiveness of their various texts. Such a duality makes the reader conscious about the challenges that the author has to negotiate in order to traverse an unexplored terrain of creative freedom and the tensions and dilemma that co-exist between the author as text and the author's creative text. In the chapters that follow, we will focus on this aspect of Tagore's life and his writings/fictional narratives. Towards the end we will partly deal with his personal odyssey and emotional attachments with several remarkable women. In this volume, we read selected short stories, novels and essays of RabindranathTagore in order to explore and excavate the historical and social factors that may have directly or indirectly compelled, influenced and inspired his ideological fissures, shifts and choices. When we describe Tagore as 'radical’, we endeavour to situate his textual adventures and creative dynamism that push against the borders and boundaries of contemporary Bengali literary writing. Tagore stood apart from his contemporary fictionists as he expressed a rare agency of mapping out a track that slowly but steadily moved out of the traditional and the stereotypical. His texts exuded an unprecedented creative freedom, sometimes inviting severe criticism as he was entrenched in that slippery space of being a local cosmopolitan in British India, which meant that since the country was occupied by a foreign power, even tacit support to such a power was considered as a subversion by certain groups of intellectuals and cultural activists. Tagore's egalitarian approach and universal humanism are an intrinsic part of his fictional narratives and we have selected the representative texts very carefully in order to track Tagore's dual journey. The first journey goes from the traditional to the path-breaking narratives that address the macro issues of nation, empire and transnational humanism. The second constitutes the deeply related concomitant micro issues of interpersonal relationships, institutionalised family structures and patriarchal systems, gender inequality and the position of women as subjects in patriarchy. Our book also includes readings of selected film versions of Tagore's fiction to trace the re-visions and deviations from the original texts in order to identify and critique how pre- and post-Independence Indian/Bengali film-makers have appropriated, abrogated and negotiated Tagore's literary texts by emphasising gender positions, women's sexuality, body images and body politics. We have tried to track the significant shift in the gaze of the film-maker that the authorial representation may have included in a more subtle and nuanced mode. This method of reading the visual texts based on the fictional narratives of Tagore will undoubtedly emphasise Tagore’s timeless relevance and contribution to cultural understanding, though some film versions also underscore the untranslatability of Tagore's fiction into visual texts. 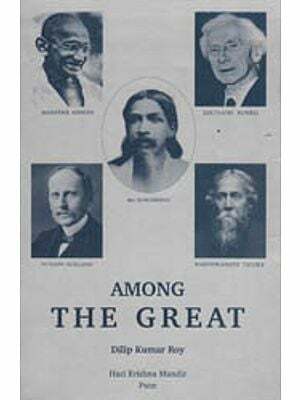 In fact, these areas that have directed our attention in our book are areas that have been under-represented in serious Tagore studies till date. As a matter of fact, our pledge has been to write that radical book about Rabindranath that does not de-centre the subject to such a degree that the poet or his texts are submerged in the sub-text and context. It is not a difficult task to identify what we may commonly understand as the radical elements in Tagore's literary oeuvre, though these have sometimes been sublimated by Tagore appreciators, creating a strange defensive critical environment that seems to create a notion that his radical views, if at all focused on, should immediately be matched by a corresponding counterpoint. This seems to be the non-critical psychic zone of faith that challenges doubt, where the worshipper surrenders to the traditional notions about the worshipped, instead of participating in the exciting excavation of those areas that have remained forgotten, obscure and mired in conflictual tensions and contestatory debates about interpretation and explication of Tagore's colonial texts that the seduction of post-colonial readings compel. Interestingly, the poet had himself wondered about the cultural environment of a hundred years after his passing away, when a reader would read one of his poems. Simultaneously, he wondered about contemporary young poets and their poetic approaches. The first stanza of 'Borsho Shesh' [The Year 1400 (200O AD)] amply foregrounds the poet's concerns and consciousness about time past, present and future in the subjective Proustian dilemma of memory and the subject- position of the individual.